The feeling of infinite possibility. Business growth is increasing, the population is growing, and around the city, there are huge development projects in progress. With everything that is happening in the city and with the dynamic growth of the Copenhagen region, Helsingborg is the right place for you, too. Together with local businesses in Helsingborg, the foundation for the city’s continual growth and development is laid. The diversity of both large and small companies create excellent opportunities for innovation, growth and development. There’s a lot of interest in new companies who choose Helsingborg as their location of choice for their establishment and development. For several years, Helsingborg has been at the top of the list for cities with more than 100 000 inhabitants. In Helsingborg it should be easy to start, run and develop a company and it should be easy to establish a new company here too. This has a lot to do with reception and a just and effective governmental policy but also the attitudes toward corporate business as displayed by politicians and civil servants. It should be easy for companies to manage their day to day business and for their dealings with the city’s administration to run smoothly. Helsingborg has been awarded several prestigious awards in recent years. In 2015, Helsingborg was announced Sweden’s best local council for IT. In 2016 we became Sweden’s best local council for growth and in 2017 we were awarded Sweden’s best local council for quality. 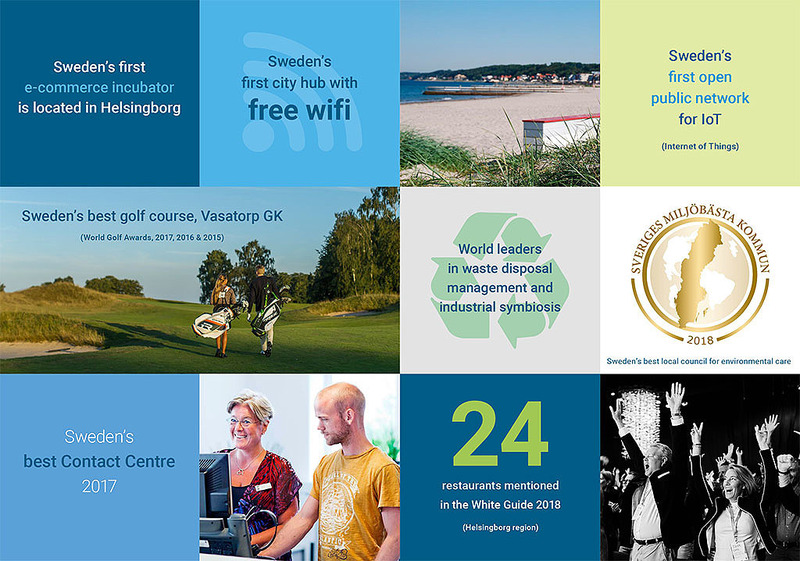 Finally in both 2017 and 2018, Current Sustainability awarded Helsingborg with Sweden’s best local council for environmental care. Helsingborg is not only one of the most prosperous cities in Sweden, there’s real quality of life here. Fantastic accommodation, restaurants, good and diverse shopping options, interesting museums, great cultural attractions, exciting activities for both children and adults alike, proximity to the sea, the opportunity to experience and explore the natural beauty of the area, luxurious relaxation and so much more. In Helsingborg, there is something for everyone. Helsingborg has received the award for Sweden’s Quality Municipality 2017. It is a local authority that is characterized by openness and a willingness to engage with those who live and work in Helsingborg. The municipality works with a clear focus on users, which can be seen, for example, in its high level of availability and good handling of issues. 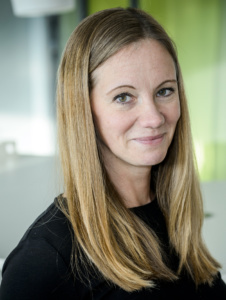 The municipality also excels as a result of its strongly committed managers and employees, who work together to continuously improve the service for the residents of Helsingborg. A clear structure for governance and follow-up creates the conditions for good and sustainable results and municipal services of a high quality. Best Environmental Municipality of the year is appointed by the publication Current Sustainability and the digital tool Environmental Barometer, and Helsingborg topped the municipality rankings in 2009. After holding high positions in the rankings every year since then, the city of Helsingborg has again ended up in first place out of 290 cities for both 2017 and 2018. With a focus on quality of life, Helsingborgs Stad has received a real boost in terms of work on sustainability. Several years of ambitious environmental work, a long-term, cross-border vision and a new quality of life programme have been the foundation for this achievement. Now Helsingborg has re-taken the top spot. Every year, Swedish Enterprise conducts a large survey of the business environment in municipalities. In the results for 2017, Helsingborg was placed number 13, an increase of 31 rankings compared to the previous year. Helsingborg has been at the top among cities with more than 100 000 inhabitants for several years. A good business environment makes it easier to start, run and develop successful companies. A lot of it is to do with supervision, treatment and the legal and effective exercise of public authority, but also of attitudes towards entrepreneurship among local politicians and officials. Much of what companies encounter in their daily lives is directly under the responsibility of municipalities. Share the page: Why Helsingborg?